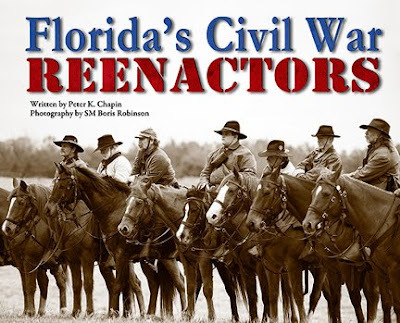 Florida's Civil War Reenactors contains more than a hundred sepia toned photographs portraying Florida Reenactors at the Brooksville and Fort Pierce Reenactments. After attending the 2009 Brooksville Reenactment for photographic opportunities, Boris Robinson was taken with the energy and enthusiasm that the Reenactors displayed in their rolls. It is much more than just a casual hobby. Reenactors are historians and for themselves, they participate and survive for a few days as if living a 150 years ago. Many have ancestors who fought in the war and it is a way of preserving their memories. This book represents a collaboration between journalist Peter Chapin and professional photographer SM Boris Robinson for the benefit of the Florida Reenactors. Peter Chapin interviewed reenactors at the 2009 Fort Pierce and the 2010 Brooksville Reenactments. The photographs were taken during the 2009 and 2010 Brooksville Reenactments and the 2009 Fort Pierce Reenactment. Considering the large number of people who participated in the three reenactments, the interviews represent the thoughts of only a few, but reflect the passions of so many. SM Boris Robinson lives on North Hutchinson Island, Fort Pierce, Florida and has been making photographs for many years. Professionally, he is a technical writer and more recently an art gallery owner and commercial photographer. 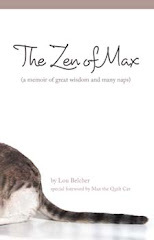 This is his first photography book. Peter Chapin lives in Vero Beach, Florida and is a journalist with Scripps Treasure Coast Newspapers.